The wonderful people at Love, Hearts and Crosses have kindly given me a 10% off code for their website to share with you lovely ladies! 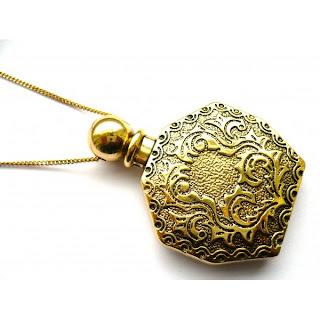 One of my favourite pieces has to be this gorgeous gold perfume bottle necklace, they sell some amazing andmade pieces and have lots of Alice in Wonderland themed jewellery items. Which entitles you to 10% off until the 31st March 2010 when you use this at the checkout. If you like the look then bob on over and take advantage of this discount, i know i will be!